«Camaraderie and friendship» illustrated quotation. Team, free quote pictures for Facebook, Twitter, LinkedIn, Reddit, Pinterest and other social networks. 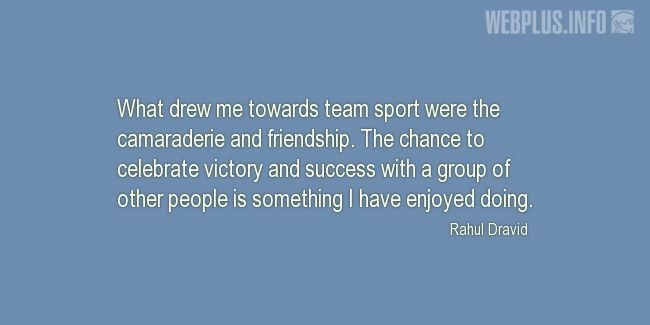 What drew me towards team sport were the camaraderie and friendship. The chance to celebrate victory and success with a group of other people is something I have enjoyed doing.